The skin condition called Cheyletiellosis, or Walking Dandruff, seems to be gaining interest amongst Pug people. 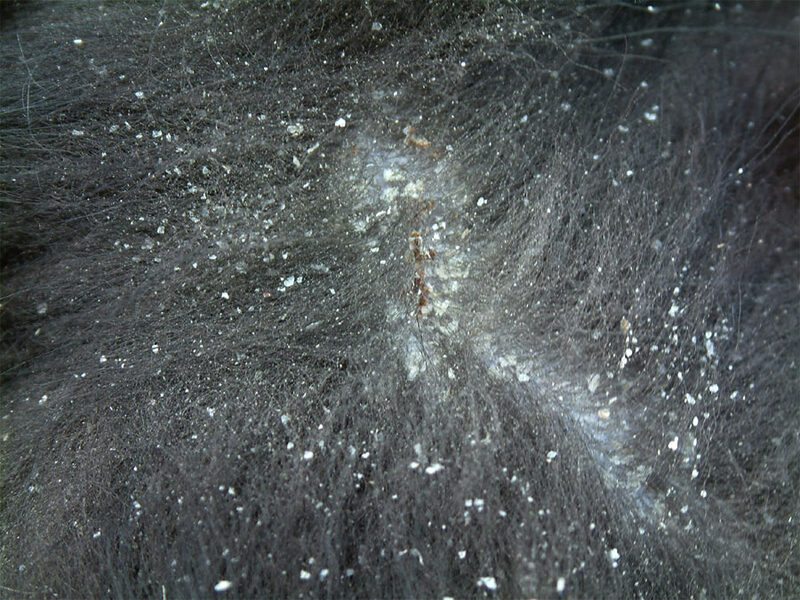 It is caused by a small mite and results in very heavy scaling, dandruff and scurf, especially down the middle of the back. 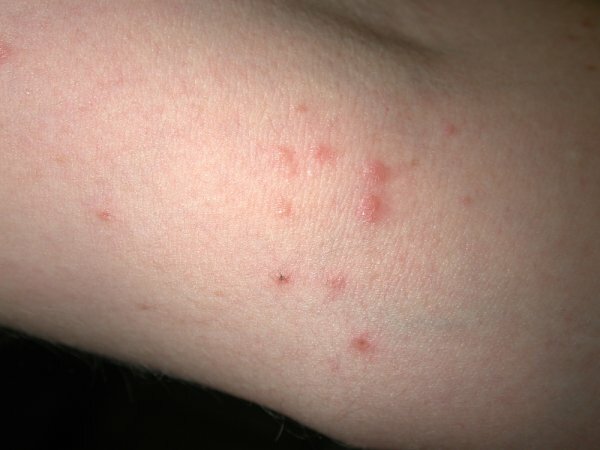 It can be itchy and can also cause crusts to form. 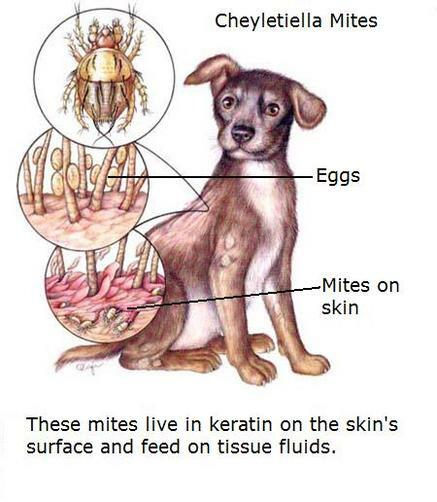 The mite is notoriously hard to find. If you suspect your Pug has dandruff in excess of what might be seen with dry skin, your vet can comb off some of the flakes onto a microscope slide with a drop of mineral oil on it and look for the mites or the eggs under the microscope. Alternatively, the vet can press sticky tape against the skin and put the tape on a slide to view. 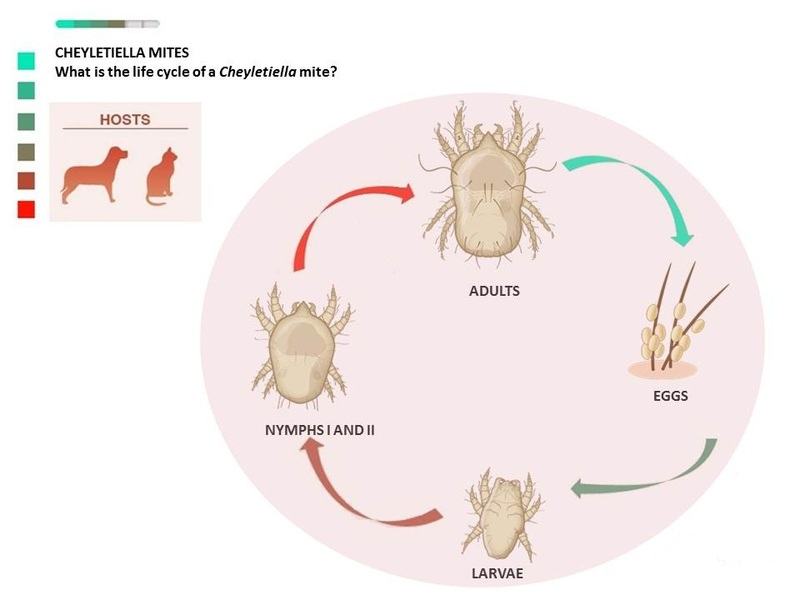 Cheyletiella is very contagious so if mites are found or the disease is considered likely, all the pets must be treated for four weeks. You and your vet can discuss the options, some of which include flea shampoo or spray or ivermectin given orally or subcutaneously. Another good choice is topical Revolution every 15 days for 3 treatments. You also must treat the environment and clean any grooming equipment, too. There can be asymptomatic carriers so it is important to treat all pets. The most dramatic cases I have seen involved young puppies, with very thick closely adhered white flakes all along their backs. The prognosis is good but of course there is potential for re-infestation. 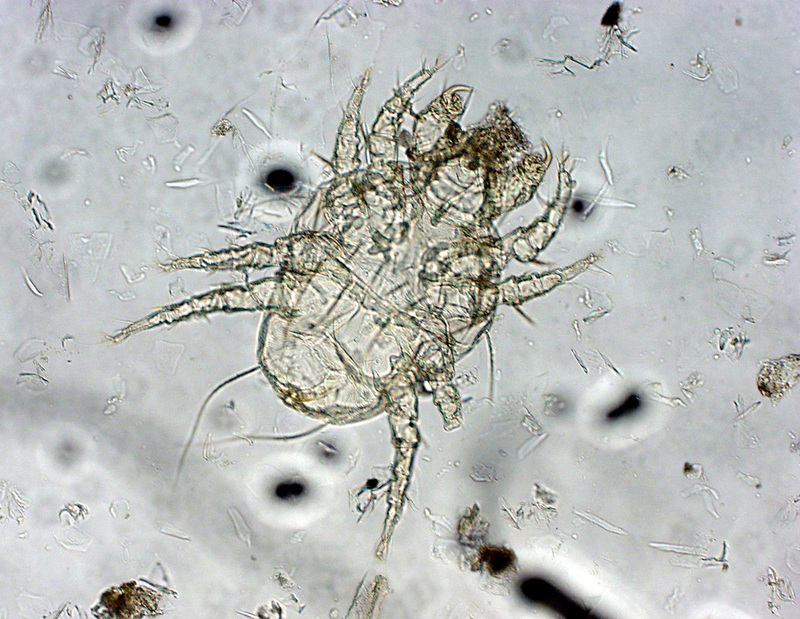 See your vet if you think any of your Pugs might have these mites.